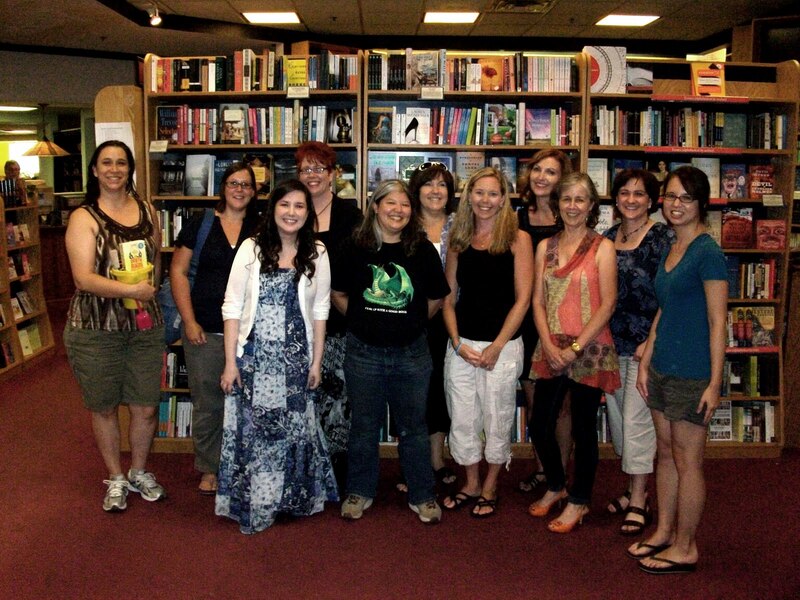 Being in Southern Oregon we never get good book signings here- but I would LOVE a signing with Cassandra Clare! 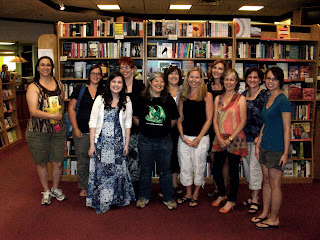 I attended an awesome fantasy author event once with Kelley Armstrong, Alyxandra Harvey, and Lesley Livingston. I hadn't read any of their books but it was great to meet them and talk about their process and favourite series. Well, out of this group, most definitely Julie K. We'd talk about manga and ASH, of course and I would giggle the whole time. Thanks for the giveaway ladies! Love your blog(s)! I would love a signing with Suzanne Collins!! That would be amazing!! Sounds like an awesome event! I'm hosting a workshop and book signing for Lee Weatherly in September. Very excited! Went to a book signing for Robin Hobb a few months ago, she was awesome. Would love to meet Maggie Stiefvater as she's my new fav. Jealous! That sounds like a blast. We rarely get authors visiting South Carolina, unfortunately. Love all the author recommendations. Awesome! I'd love to have a book signing with Cassandra Clare. The last one I attended was the This is Teen event with Meg Cabot, Libba Bray and Maggie Stiefvater. I need to read Miss Peregrine, it seems so good! I'm never been to any signings, but I'd like to meet... Suzanne Collins (no duh!) and a few others that I can't bring to mind now, lol. That looks like it was an awesome time! I would love to go to a signing that Terry Goodkind was at! Since my sister and I live in Maui, authors never come here for book signings. But if there were to be one, we would love one with Melina Marchetta, Julie Kagawa, and Cassandra Clare. That would be awesome! Oh man, you guys, a signing with Suzanne Collins would probably blow our minds. Thanks for all the great author recommendations!